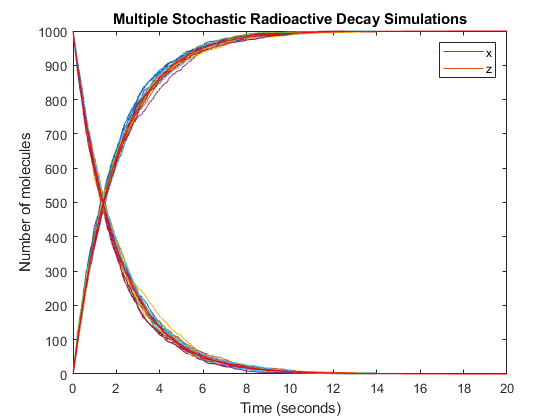 Simulate the dynamic behavior of a model using a variety of deterministic and stochastic solvers. You can model biological variability by simulating alternate scenarios and what-if hypotheses without creating multiple copies of a model. Explore different dosing strategies such as bolus and infusion doses and determine the optimal dosing strategy by combining different dosing schedules. 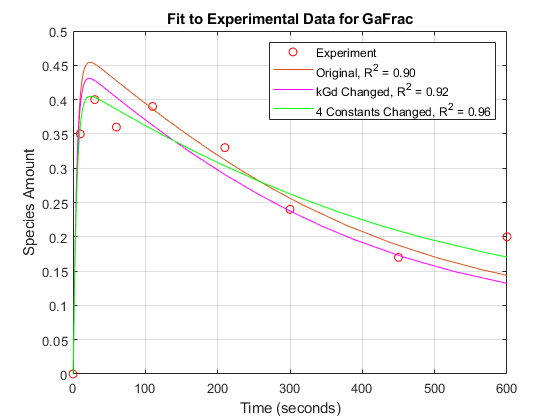 You can also perform parameter sweeps and sensitivity analysis to investigate the influence of model parameters and initial conditions on model behavior. 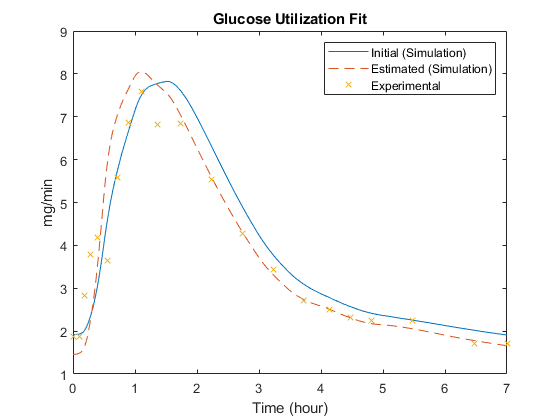 Perform a Monte Carlo simulation of a pharmacokinetic/pharmacodynamic (PK/PD) model for an antibacterial agent. This example is adapted from Katsube et al. This example also shows how to use the SimBiology® SimFunction object to perform parameter scans in parallel. Build, simulate and analyze a model in SimBiology® using a pathway taken from the literature. 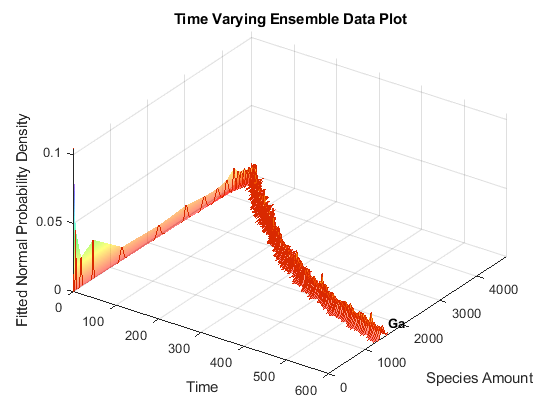 Make ensemble runs and how to analyze the generated data in SimBiology®. 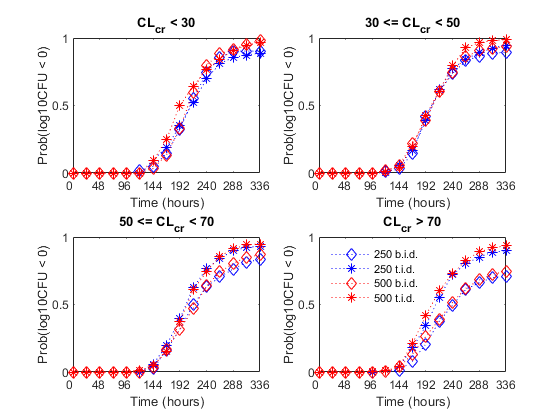 Use the sbioconsmoiety function to find conserved quantities in a SimBiology® model.